Why you should choose us for a boating accident case. More than 5,000 boating accidents are reported annually in the Unites States, resulting in at least 4,000 injuries and deaths, as well as property damage in excess of $35 million. 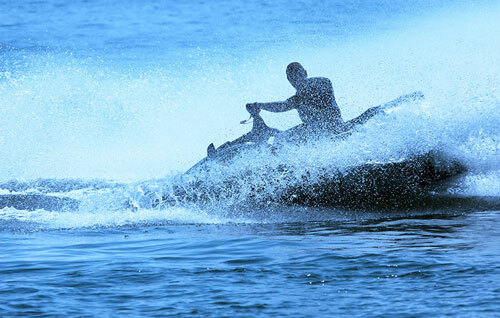 Personal watercraft, such as jet skis and wave runners, are involved in about 25% of all accidents. Alcohol use accounts for more boat accidents than any other factor, and it is implicated in approximately one-third of all boating accident deaths. More than half of drownings are caused by boat accidents involving alcohol. While it is illegal to operate a watercraft under the influence of alcohol or drugs, boaters are even more inclined than automobile drivers to violate the law. The lesson is clear: do not consume alcohol while boating. At O'Steen & Harrison, we understand the special laws, rules and regulations that apply to watercraft operation. We also have the resources to stand toe-to-toe with the largest corporations, insurance companies and governments. Please call or email us for a confidential, no-obligation consultation about your boat or other watercraft injury matter. Our experienced staff of personal injury lawyers are ready to help you now, regardless of where you live. For free answers to your legal questions about injuries from boat or other watercraft accidents, just complete our convenient online contact form. A day filled with festivities turned tragic when a high-performance speed boat driven by Brad Kloepfer flipped following the Desert Storm Shootout in Lake Havasu City on Saturday afternoon. Three men were ejected from a speedboat on Lake Havasu just before 10:00 a.m. on Tuesday. Investigators estimate the 36-foot Skater powerboat was traveling at speeds near 100 miles per hour when it flipped as the operator reportedly made a sharp left turn near Havasu Palms. A boating accident on Lake Havasu has resulted in the deaths of two people from California on Saturday evening. Bruce Buchanan and Jennifer Martin were boating with friends when their vessel tipped sharply, tossing everyone overboard.